Some reel fans consider classic slots a thing of the past because of their simplicity and limited number of betting options. The waning popularity of classic slots can easily be attributed to the recent advent of technologies which enabled key casino software suppliers to develop more graphically advanced slot titles, with multiple paylines and a plethora of extra features. And indeed, classic slots are not a match for advanced titles with their three-dimensional animations and superior graphics. However, this subcategory of slots still has its loyal following among experienced slot players and makes for an essential part of the gaming collections of all well-known gambling providers in the industry. What is more, classic slots are often deemed the most suitable option for novices as their interface and payout tables are much easier to understand. The phrase “classic slots” is usually used to refer to traditional, simpler games which feature only three reels or three vertical sections that are set in motion, whenever the player hits the Spin button or pulls the slot’s lever in landbased gambling establishments. In most cases, plums, cherries, oranges, lemons, bells, bars and lucky sevens are utilized as symbols on the reels. However, if you register an account at an established online casino, you are more than likely to find a greater diversity of themes when it comes to classic slots. Unlike advanced video slots with their multiple paylines, classic slots typically incorporate a single payline which stretches across the middle of the reels. Nevertheless, it is possible to find titles where the number of paylines ranges between one and five. These can run both diagonally and horizontally across the three reels. On rare occasions, players may come across 3-reel slots which feature ten or even eleven paylines. 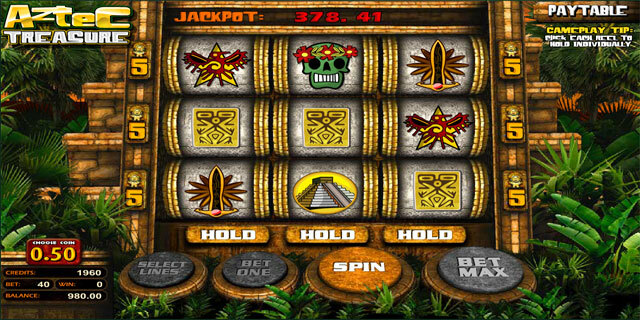 Classic slots often lack in terms of graphics and special features as the visuals and sound effects are often far from impressive. However, traditionalists would hardly consider this a disadvantage. Classic slots are deemed a suitable option for those, who lack previous experience since the games’ interface is rather simplified and easy to understand. The buttons are located at bottom of the screen, below the reels, or at least in most cases. Players are typically required to adjust their coin denomination only as classic slots not always involve any bet multipliers. This is to say one can rarely bet more than a single coin per spin, which renders this subtype of slots suitable for players with a limited budget. Nevertheless, players who engage in classic slots online will certainly be able to find games where betting more than one coin per spin is an option. In such instances, one is required to click on the button that reads Bet One to adjust the number of coins per round. The coin denominations one can choose from usually range between 0.01 and 100.00, but minimum and maximum bet amounts are game-specific and vary from one classic slot to another. Once you have selected how much you want to bet per spin, you are good to go. More often than not, there is a Max Bet button for brave players who are not afraid to stake the maximum amount, allowed in the game. Some classic slots you can find online also have an additional Auto Play feature, which allows slot enthusiasts to automatically play through a specific number of spins. Occasionally, it is possible to set win and loss limits for the Auto Play round of spins. Once you reach your win/loss limit, Auto Play would automatically get deactivated. 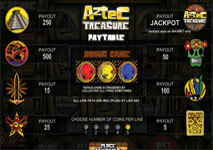 The payouts on winning combinations are either listed on the screen or can be found in the game’s paytable. Once you set the three reels in motion, you simply wait for them to come to rest to see the outcome. If luck is on your side and you land three matching symbols on a payline, the winnings will be displayed below the reels and the amount will be credited to your casino account’s balance right away. The limited number of paylines equals a limited number of winning opportunities, which is why players tend to hit winning combinations less frequently, but the payouts are usually larger and well-worth it. The good news is players will hardly experience any issues understanding the payouts and paytables of classic slots, even if this is their first time spinning the reels. If video slots are what you are used to, you will immediately notice the paytables on their 3-reel cousins are different. Nevertheless, they contain vital information and checking them in advance is definitely worth your time. The symbols are usually listed in the paytable in descending order, starting with the highest-paying combinations. With slots where only one coin can be wagered per spin, there is only one set of payouts, listed in the paytable. When players land three matching symbols on the paylines, they collect the number of coins listed next to the respective symbols. Some classic slots allow for two or three coins to be wagered per round, so their paytables are a bit different. Let us assume the highest-paying symbol in your classic slot of choice is the orange. If you land three oranges on the payline with a one-coin bet, you collect 500 coins. Provided that you have wagered two coins and win, the payout for three oranges is double the amount of that for one-coin bets, or 1,000 coins. The last column in the paytable contains information on the payouts for three-coin bets. To proceed with our example, you will collect a total of 1,500 coins for three matching orange symbols. The bottom line is when three identical symbols on the payline match some of the identical symbols on the paytable, you collect the respective payout. Some players steer clear from betting on classic slots since the latter lack in special features and action. However, this is not always the case as some slots available online come with some extra features like wild and scatter symbols. These are rare and far in between, but not impossible to find. Some software suppliers have even opted for incorporating more simplified bonus rounds in their 3-reel titles, which enables players to earn some extra profits. Occasionally, the bonus round may be the key to unlocking the colossal progressive jackpots attached to the slot. Do keep in mind that in order to qualify for the massive prize, players are usually required to use the maximum coin value per spin. Two of the most notable features of classic slots are the nudges and the hold functionality. Nudges used to be the standard with classic slots back in the day and are still to be found, depending on the game you play. Nudges are indeed a key feature because they can potentially spear you the frustration whenever near-misses occur. If you have ever been shockingly close to landing a gargantuan payout only to see the last symbol you need on the reel is a single position off, you probably know what we are talking about. If the nudge indicator of the slot is on, this would enable you to move one position down the reel and help you complete your winning combination. Bear in mind this, by no means, is a guarantee you will bag the huge payout you were hoping for. Nevertheless, the nudge feature can significantly boost your chances of doing so. The Hold feature can also work to the advantage of players and is to be found on many classic slots. It is usually triggered at random and is not available on all spins. As its name suggests, this functionality enables players to hold one of the reels in the same position while the others are set in motion. In some cases, whenever the hold feature is activated, players are granted a free spin on the two rotating reels, but not necessarily always. If you think about it, the Hold functionality resembles to a certain extent the sticky wild feature, available in many advanced video slots. Depending on their classic slot of choice, players may be even allowed to hold more than a single reel in position and do so for several spins. Typically, the best option for players is to keep higher-value symbols in place – if they land the same symbols on the other two reels, the payout would be more substantial.